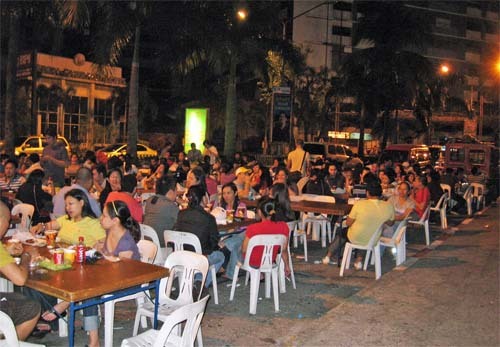 Every 12 midnight Friday until 11AM Saturday (overnight) one side of Ortigas Emerald Avenue is closed off to motorists to make way for a unique, gluttonous experience, that is the Banchetto-Emerald. 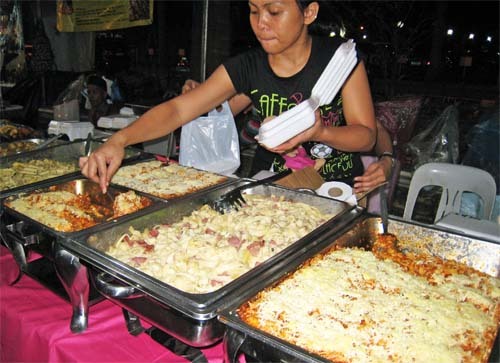 Inspired from the Italian word that means "a feast", Banchetto is a Street Food Fiesta. 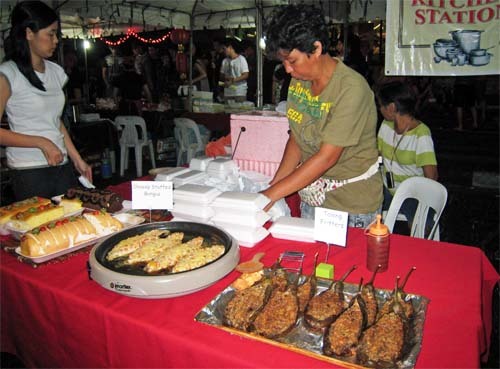 Numerous stalls, that fill the street, offer wide array of food to delight the senses. 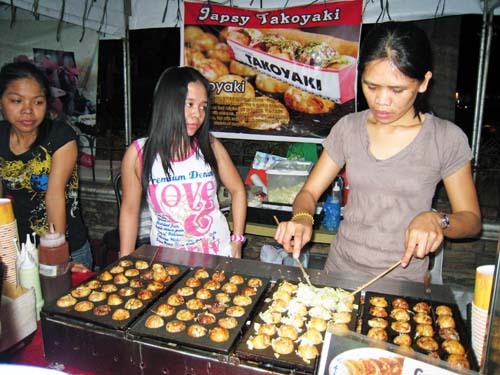 Whatever you fancy - Filipino, Italian, Japanese or any cuisine - you're sure to find it there. 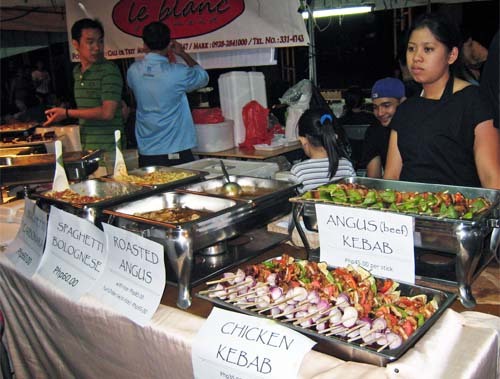 Our favourite food stall is Le Blanc by real (not sure) chefs. Their food is a bit pricey but hey, the serving is hefty! (Wow, it rhymes :-| ). I am addicted to their lasagne and tiramisu. 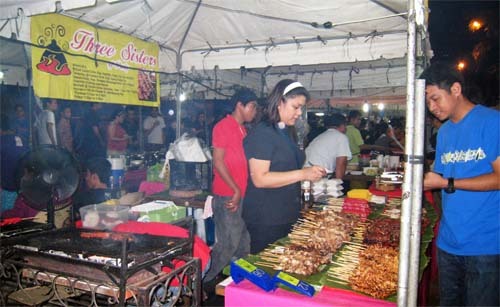 A feast in the Philippines is not complete without cancer-causing charcoal barbecue. 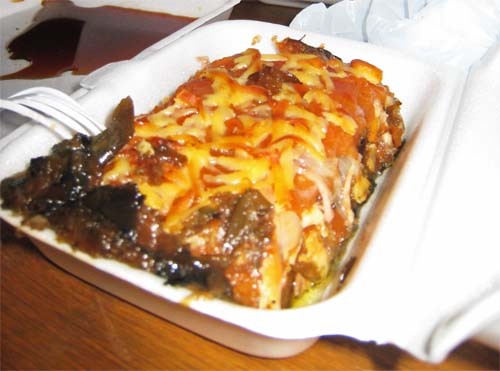 Relyenong Talong (stuffed eggplant), anyone? 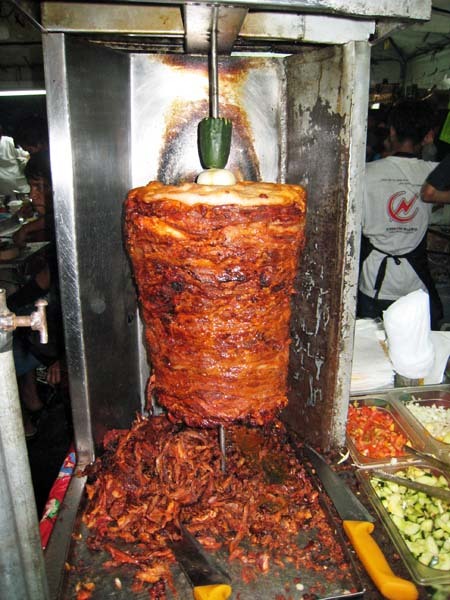 Or maybe you fancy some kebabs? 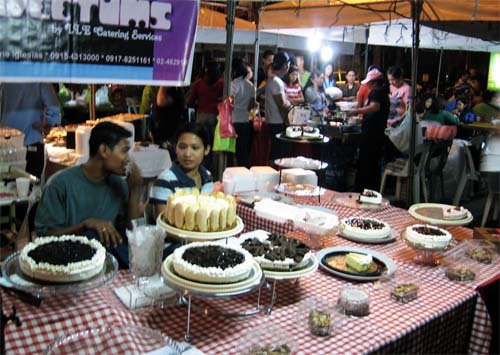 If you still have room for more, why not squeeze in some of these yummy desserts. Of course, food is more enjoyable with the company of good friends. Hi there, this is Chef Miguel from Le Blanc. Stumbled upon your blog. Thanks for the free advertisement. 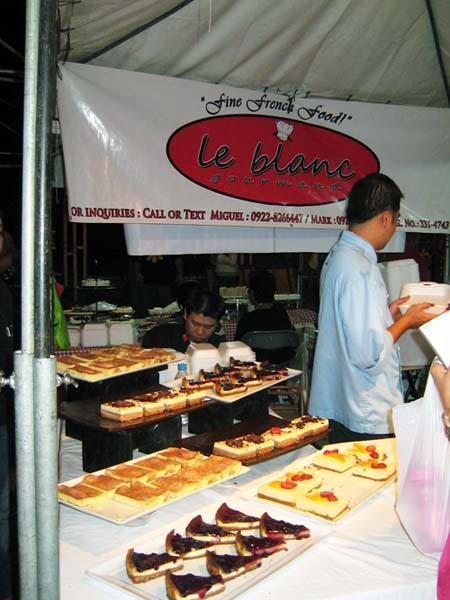 Le Blanc Gourmand is part of LEBLANC CATERING SERVICES, aside from the Banchetto night market, we also specialize in handling some call centers as their pantry concessionaire. Email me for inquiries, miguel@mjtan.com. Thank you and God Bless!